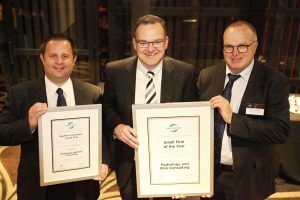 HARC were honoured to be awarded 2017 Small Firm of the Year at the Consult Australia Awards for Excellence Industry Dinner. This capped off a great night for HARC where we were also the winner for Business Innovation – Small Firm. Thank you to all our staff, partners and clients who have contributed to this success.